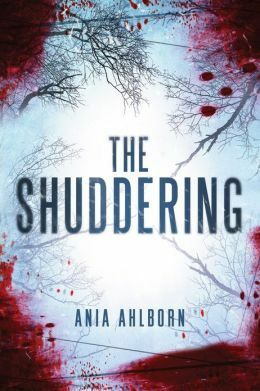 One of my favorite new horror writers is Ania Ahlborn. One of her latest books is The Shuddering, in which a skiing trip goes badly awry for five friends. This book has all of the best horror elements – a cabin in the middle of nowhere, young people with relationship complications, and a forest full of monsters. Ryan Adler and his twin sister Jane take a last trip to the cabin that has been put up for sale following the break up of their parents marriage. The inclusion of Jane’s ex complicates matters, especially since he brings his new girlfriend. This situation works as a distractor from the fact that there is something weird living in the trees. Dark, humanoid, vicious monsters that are smart enough to figure out how to get into houses and seem to be interested in killing and eating all the humans around. Soon, Ryan and his friends are trapped in the cabin, surrounded by these horrifying creatures. Ahlborn does a great job of pacing in this book – it reads very much like a horror movie, which makes this a hard book to put down. Her characters have a bit more depth than what we see on the big screen, which makes the backstory engaging. And, her monsters are different and very scary. I tend to want to describe them as demon-like, but in reality there is more a feeling of a dark fey element. They are like something ageless and amoral, just woken from a long sleep, and very, very hungry. Best of all, she leaves just enough questions unanswered to haunt you long after the book is done. 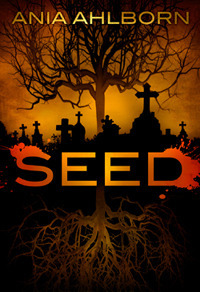 I first came across Ahlborn’s work when I found her book Seed at the library. This book has a similar dark, haunting, and almost mythical creature at it’s center, but this monster is particularly targeting Jack Winter. Jack was haunted – and hunted – by this creature as a boy, and after fleeing his home town years ago and thinking that he escaped it, his memories faded and he managed to convince himself that the creature wasn’t real. Now, he is returning to his hometown and something begins to menace his family. I think what impressed me most about this book was the sense of foreign evil – something never heard of before that was so focused and intent on one person, seemingly just picking them at random and then relentlessly pursuing them. The southern setting of this story enhances the atmosphere, and Ahlborn does a great job of pulling in the feeling of a small town. I enjoyed this book enough to make me keep a lookout for more of Ahlborn’s work, and I haven’t been disappointed yet. There are two more books by Ahlborn that are currently available: The Neighbors and The Bird Eater (her latest). I enjoyed The Neighbors, but it was definitely more of a psychological thriller. I am currently reading The Bird Eater, and am enjoying it. It contains the small, southern town elements that I felt worked well in Seed, and has an interesting take on a family focused haunting. Ahlborn definitely delivers in her work and I continue to look forward to what she will do next!